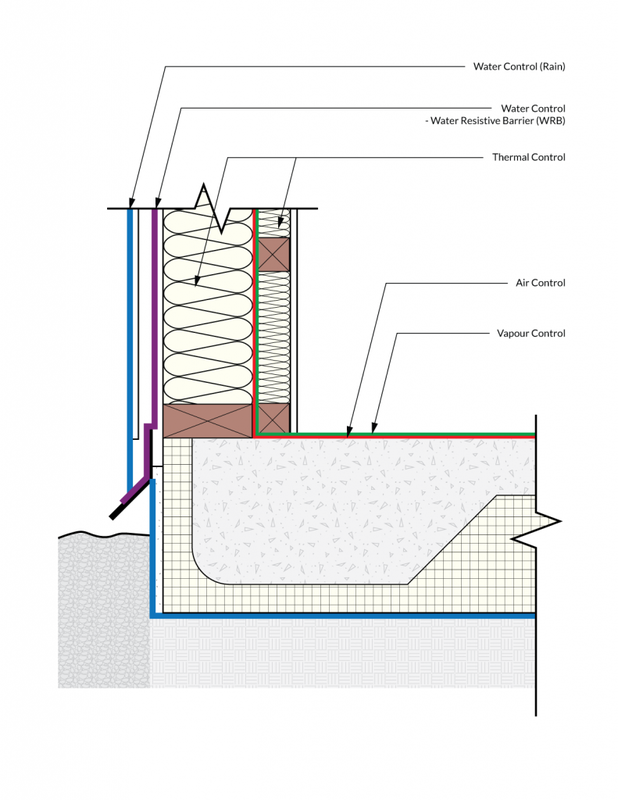 Control Layer Hacks to Building Science | Sustainable Engineering Ltd.
A friend of mine called me the other day and asked about his building as he was concerned about where his air control layer was located —and wasn’t his water-resistive barrier (WRB) in the roof his air control layer anyway (i.e. the underlay on the roof)? So, I had him send me the drawings to the building and we looked at them together on the phone. The way it’s installed in that building, the WRB was definitely not an air control layer. Wait! Isn’t the water-resistive barrier (WRB) in the roof or the underlay on the roof an air control layer? Sometime it is … and that is not always a good thing. Building science is quite a complicated topic, but if you just follow a few simple rules, a lot of the solutions that fall out just tend to be the ones that keep you out of trouble. They are your little life hacks! And there’s just one giant building science hack to keep yourself out of trouble and that is to understand the control layers in your building. So what are the Control Layers of a Building? The control layers can be found in a building’s enclosure. It’s the thing which separates the inside environment from the outside ‘natural’ environment. The enclosure includes everything from the paint on the outside of the wall cladding to the finish surface on the inside (including any wall-mounted mirrors). Sometimes the building enclosure is called the building envelope. 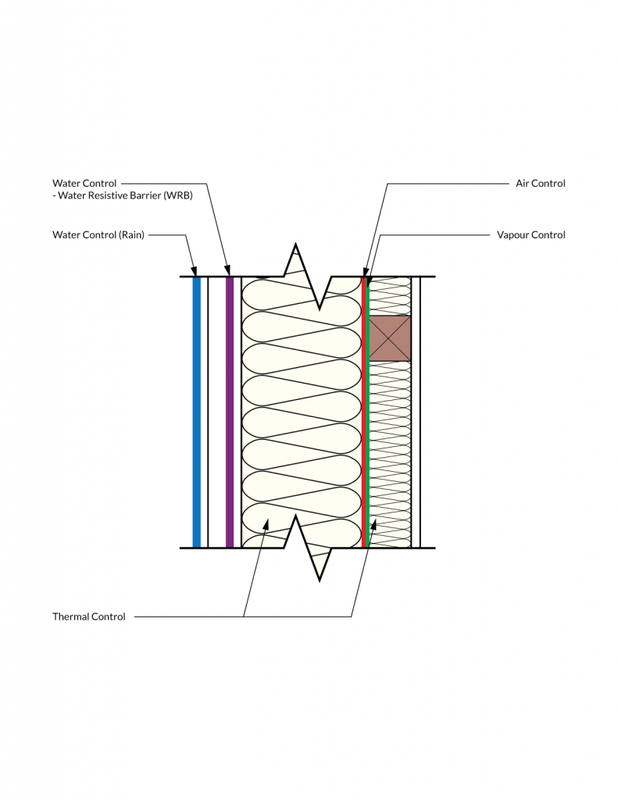 First the external water control layer is the most important of the four control layers. It keeps the lovely rain out of the building. If you get this wrong the occupants call you up – in the middle of the night – so this is mostly sorted in NZ at this point. Second is the air control. You want to keep the air where it’s supposed to be. If it’s air inside the building, it needs to stay inside; if it’s outside air, it needs to stay outside. This doesn’t mean you can’t open the windows as you need ventilation it means you don’t want air leaking through you building enclosure and dripping moisture on its way out. Poor air control and the resulting air leaks, results in not only higher heating bills but more importantly carries moisture into the building enclosure. There have been many failures due to air leakage from the building interior, carrying moisture into the walls and roof structures where it condensed and caused damage. In New Zealand, this has caused much of the recent ‘leaky roofs when it is sunny’ issues in schools in both the North and South Islands. I’m aware of or have worked on residential and office building roofs that have had this failure in Wellington, Auckland, and Queenstown. Walls have this failure mode as well but the damage is typically hidden. Most of the time, the drips do not rain into the occupied space, so the resulting mould or damage is not found unless a wall is opened up for other work. The third control layer is the vapour control layer which controls how moisture transfers directly through materials (not air leakage). A sheet of gypsum wall board (GWB), for example, is a great air control layer, but moisture can pass through GWB at a certain rate. It is important to make sure that the vapour control layer resistance is appropriate for the wall and roof structures. Most often the air and vapour control layer are the same physical layer but they do not need to be. A good vapour control layer should manage moisture levels in the assembly to prevent condensation and allow increased drying potential. Buildings in colder climates face condensation risk increased risk mainly because of the need for higher insulation levels. Generally, an increase in the level of insulation in building assemblies translates to less drying potential due to the reduction in energy going through the assemblies. And with many modern materials not allowing as much vapour flow as traditional materials, the risk of condensation in well-insulated assemblies is increased even more. As we add insulation we need to add drying potential to our building assemblies. Fourth and the final control layer is the thermal control layers. It’s the least important control layer when it comes to building durability, but it receives the most attention due to our cultural focus on saving money on energy and the increase in thermal comfort. However, until the Water, Air, and Vapour control layers are defined and implemented correctly, this should receive the least attention. With the thermal control layer, you just have to make sure they’re contiguous. In other words, the thermal control layer at the roof wall junction, around the windows to the insulation gap between the glass, and all that line up and work well. Now, with reference to the scenario presented at the beginning, how should all these layers fit together so that we can say we’ve got them installed in the building right and that we have a solid air control layer? Next, you’ve got the vapour control layer (orange) which, in this case, is the same point in those wall assemblies. And then lastly, you’ve got your thermal layer where you can see—except for that small bit of timber bottom plate—you’ve got a nice contiguous thermal control layer. These four control layers must wrap completely around the building enclosure (including underneath). At each and every junction in the building, the designer must understand how the control layers are kept continuous across the detail. If it is not understood at the design stage and communicated via drawings, it will not be built correctly. Understanding the building enclosure and the four control layers that make up the building enclosure is vital to understanding how the building enclosure will perform. Trace your control layers on your drawings if they’re identifiable and continuous you are 90% done. See more discussion about this article here. Each month we will let you in on the inside information. You will know how and more importantly why, so you can avoid big, complicated & expensive problems with your buildings. High performance buildings, building science and Passive House. Subscribe to our newsletter.